hope all is well with you?! last week i had no opportunity to write a blog post. we had a final farewell in the family and although not totally unexpected, for us it was too soon. i’m still a little confused, but fortunately for me there are yarn, hooks and crochet. maybe you like to take a look at my wips? in the house of my mother, i found this simple glass vase, with a minor damage at the top edge, it measures 21 cm high with a diameter of 18 cm. 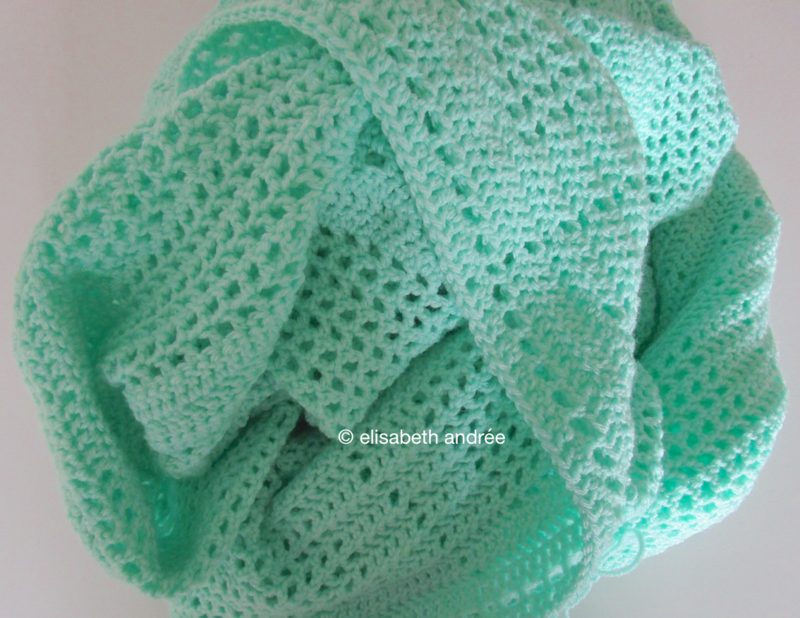 i have crochet a sleek cover of light green catania yarn and at the top a small teal and coral edge. the spider stitch blanket has only become a little larger. 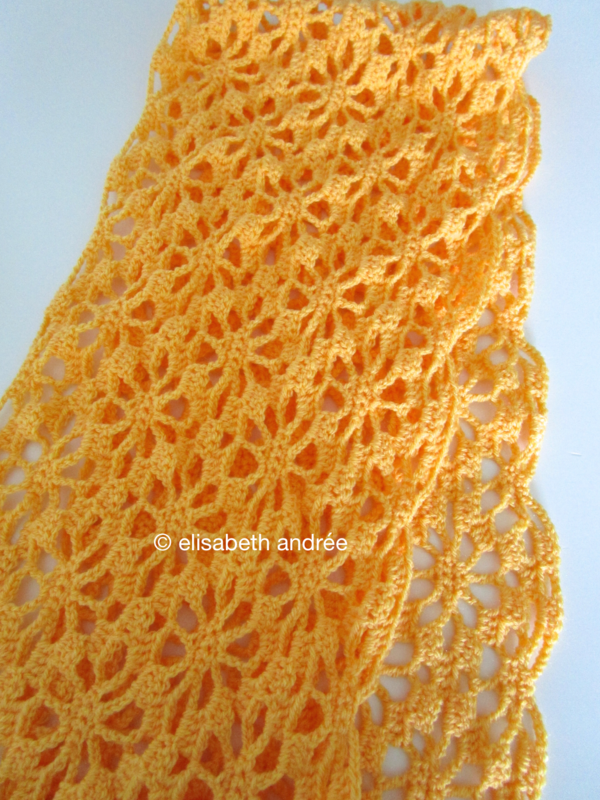 the yarn is stylecraft special dk and the color’s name is saffron, which is a really fresh and happy shade of orange. 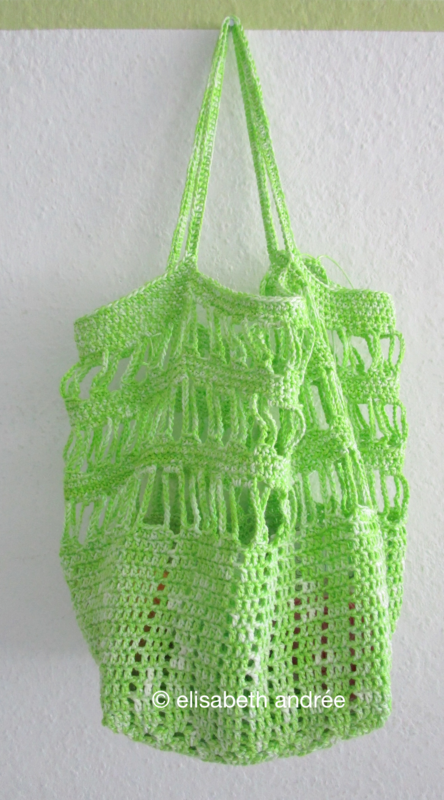 the slightly variegated green colored bag you see on the picture below is for my sister in law. 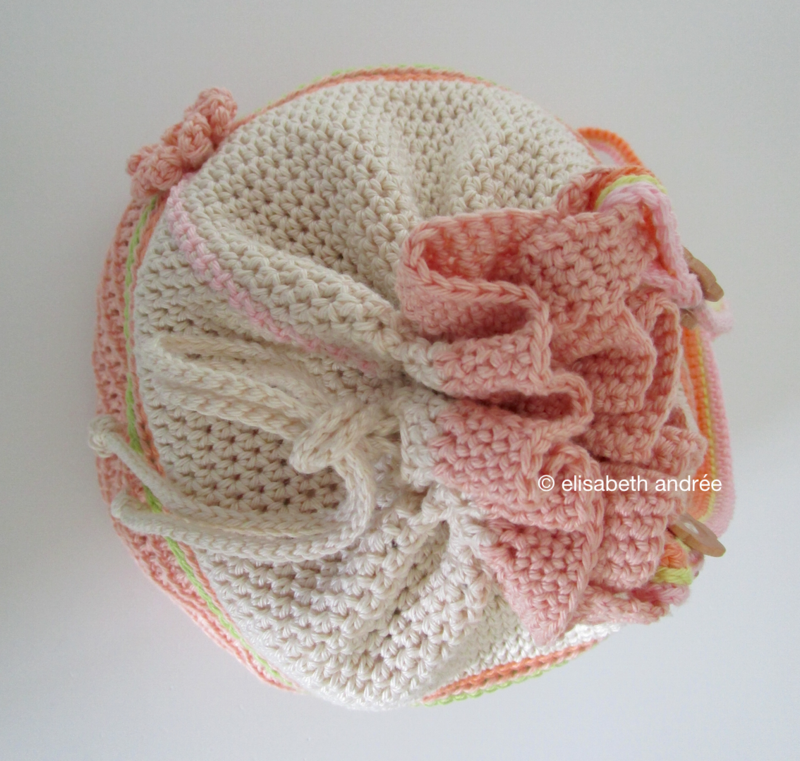 the yarn is cotone of lana grossa and it feels quite firm which makes it suitable to use it for projects like this. the bag is almost ready, only the top i have to finish and i’m thinking to make a surprising color effect. last but not least, a secret project and it has to remain secret for a while, but i will post more photos as soon as possible. it is pink and lilac and the lilac has a gray undertone. the yarn is the lovely acrylic peques of katia. it feels very soft! wish you a wonderful day and i hope to see you soon again! Categories: crochet, wip | Tags: bag, blanket, crochet, crochet bag, crochet blanket, crochet stitches, crochet vase cover, variegated yarn, vase cover, wip, work in progress, yarn | Permalink. hello, hope all is well with you?! spring still isn’t here alas but storm, rain and sometimes beautiful sunshine that clears up my mood. 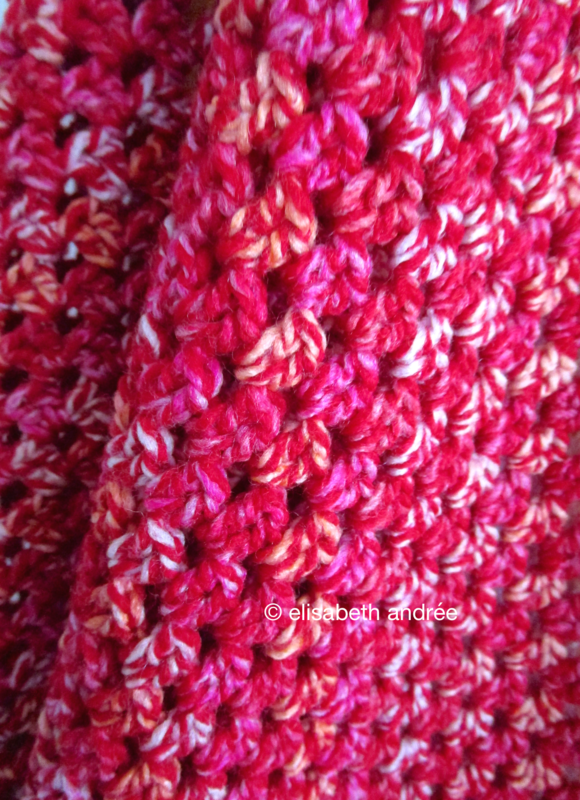 last week i suddenly had much time to crochet and i found some variegated yarn of red, orange and pink. i bought 2 balls, not many, because the yarn felt unpleasantly, but i really liked and like the color mix. it doesn’t show well on the pictures but it is a mix of red, yellow/orange and pink. i made a very small blanket, it measures about 60 x 60 cm, with a row of yellow teeth all around it. row 1. attach a second color yarn to any 1-ch space (except a corner space), then make 1 sc in same space, 3 ch, ** 1 sc in next 1-ch space, 3 ch **, repeat this all around the square, but in the corner spaces you make 1 sc, 3 ch, 1 sc all in the same space, join in first sc (remove the attachment stitch when you weave in the yarn ends). row 2. the ‘teeth’: slip stitch to first 3-ch space and make 1 sc in space, * 3 ch, draw up a loop in 2nd and draw up a loop in 3rd ch from hook, yarn over and draw through all loops on hook, 1 sc in same space, 1 sc in next space, repeat from * until end of row. weave in yarn ends. done! after the blanket is washed, it turned out very soft. more info about the yarn here. 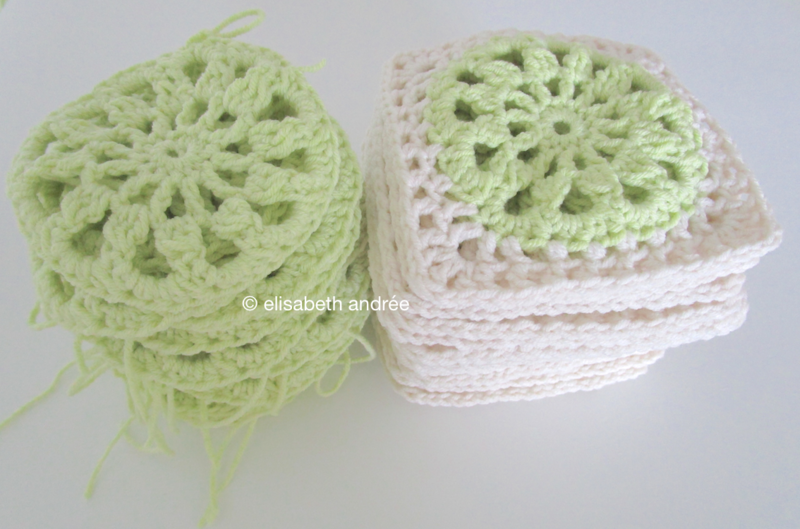 my intention is to make a cover for an oblong cushion with these off-white with soft green squares. at this moment i have 21 squares done and 21 centers, not quite finished but already well on the way. 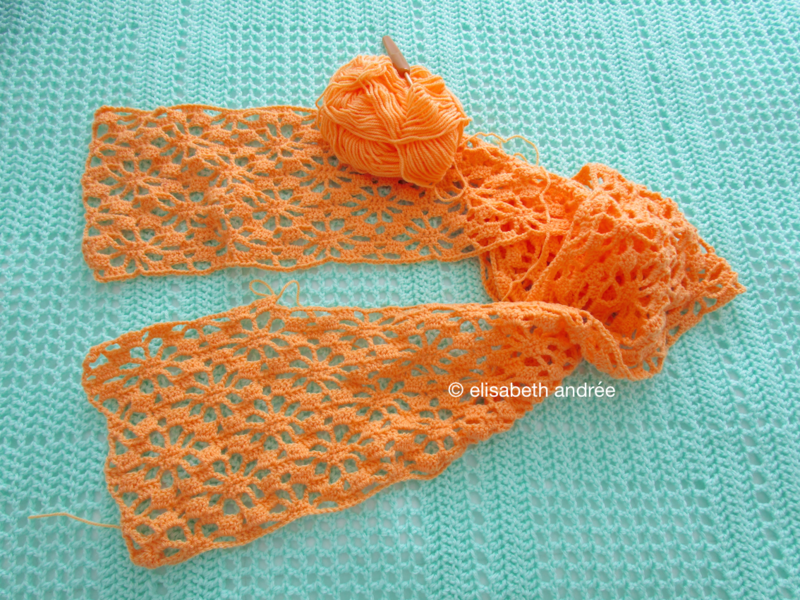 a new project with orange stylecraft yarn that i had in my stash. i have nine balls, so a small blanket should be possible. 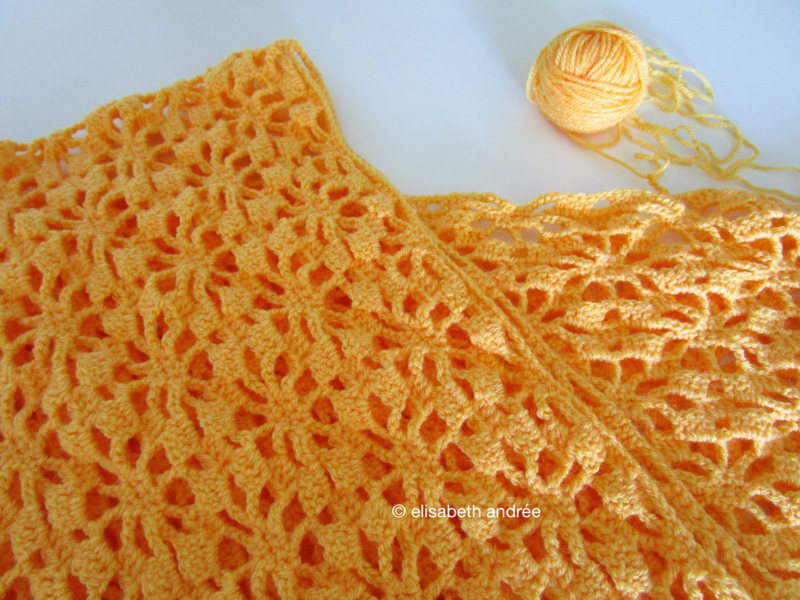 i love spider stitch patterns and this is one i really like in particular. last but not least my opaline blanket is finished and i must admit i gave up my plans to decorate it. i tried and tried but plain and simple is what i like most. so, no decoration and here are a few pictures for you to see how the finished blanket looks like. hope to be back next week, wish you very beautiful days! Categories: crochet, project done, tutorial, wip | Tags: block, blocks, crochet blanket, crochet stitches, cushion cover, spider stitch, square, squares | Permalink. welcome, so kind of you to visit my blog! last week i didn’t have to show you much, so i skipped the work in progress post. if you like you can find more into about the stitch pattern that i use for the blanket here (pattern baby blanket) and here (info about the variation on the stitch pattern that i use for my current blanket). the pattern for the square on the left you can find here and the squares on the right here. the opaline yarn is phildar impact 6 and i worked with hook size 6.5 mm. the small squares are made with katia jaipur and hook size 1.75 mm. over the past weeks, i have also made a few bags, but i’ll tell you about that another time. hope the rest of the week is pleasant for you and i hope to see you soon! Categories: crochet, wip | Tags: blanket, block, blocks, crochet, crochet blanket, decoration, filet crochet, opaline, seaglass, square, squares, wip | Permalink. so glad you come again for a visit, thank you! the opaline blanket now has nearly five rows of faux blocks and i started with the eleventh ball of yarn. i have buttons and beads gathered together, crocheted a few motifs and bought some yarn that all fit the theme seaglass. i do not know if i will use every single thing, but i like to decorate the blanket with the various items that you can see on the pictures. 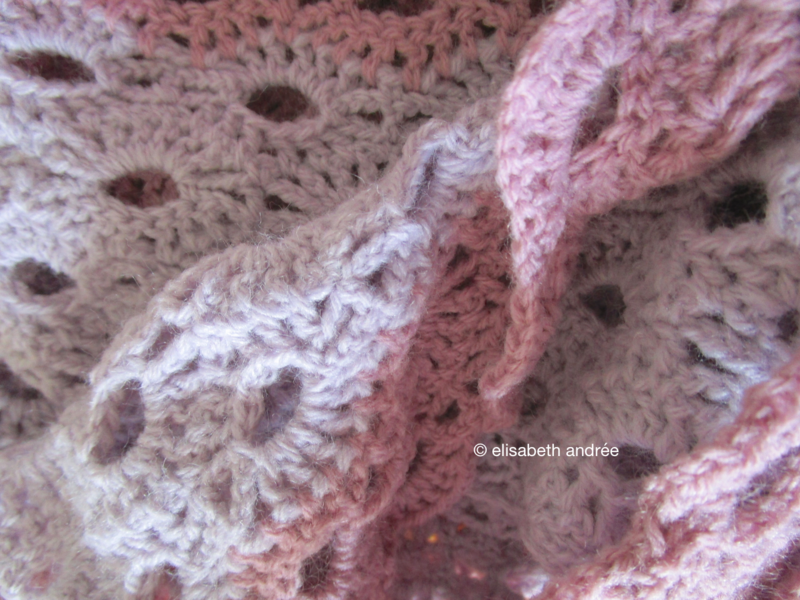 the crochet flower motifs i made some years ago and i don’t have instructions for them. the small squares and the cups are made with katia jaipur and the patterns can be found here and here. the evenings are pretty cold, but fortunately the opaline blanket is now large enough to keep me warm while sitting on the couch and working on it. this is all for today, wish you an enjoyable rest of the week and hopefully see you soon! Categories: crochet, wip | Tags: baby blanket, blanket, block, blocks, colors, crochet, crochet blanket, seaglass, wip, yarn | Permalink.